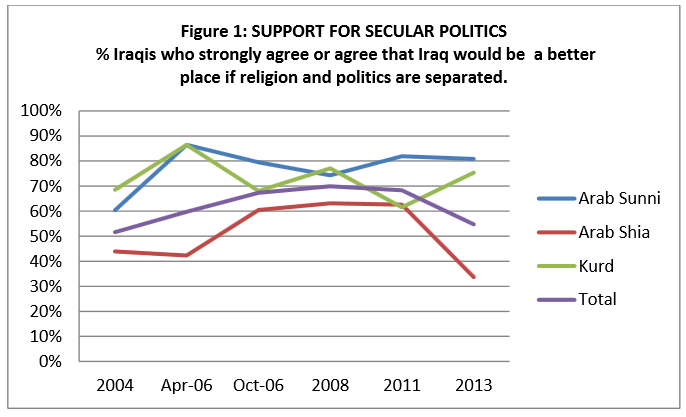 Surveys of Iraqi public opinion over the years show that Sunni support for secular government "...has increased from 60% in 2004 to more than 81% in 2013..." while for the Shia it "... went up from 44% in2004 to 63% in 2011, and then dropped to 34% in 2013." 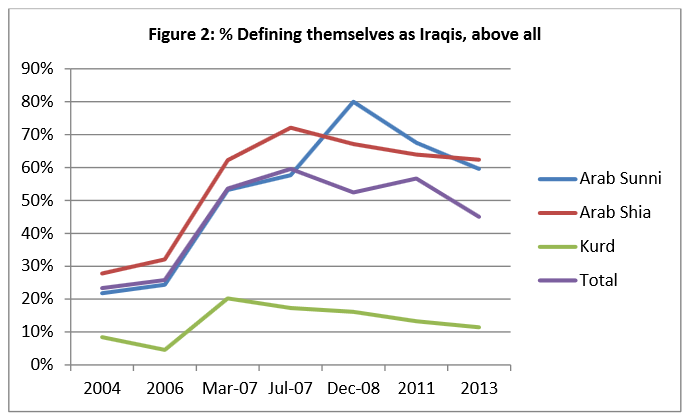 However, both groups "...converge in defining selves as Iraqi, rather than Muslim or Arab, above all." 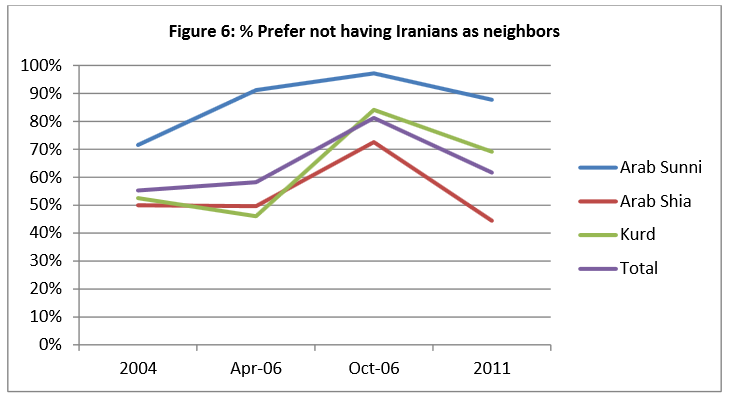 Iraqis apparently that keen on Iranians... or Americans for that matter.